Coffee shop equipment There are 47 products. Cup Warmer for approx. 16 cups • for cups up to max. Ø 90 mm • cup temperature approx. 47°C up to 52°C • made of aluminium and plastic • on/off switch with pilot light No VAT included. • perfect for the storage of fast food or snacks items• adjustable temperature 30/90 °C• stainless steel casing with polycarbonate walls Price without VAT. 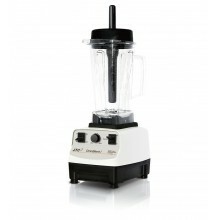 Brand new 'JTC Omniblend TM-800' commercial blender', in original box. 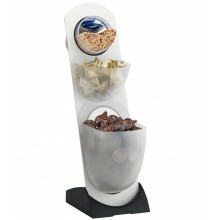 Powerful blender with 2 liters glass, Key “Pulse”, maximum speed up to 38.000 rpm, steel blades which crushes ice in seconds. No VAT included. 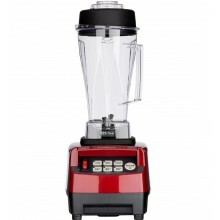 Brand new 'JTC Omniblend TM-800' commercial blender', in original box. 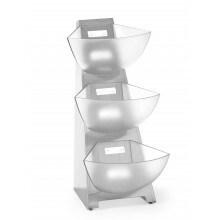 Powerful blender 3HP with 2 liters glass, Key “Pulse” of high, medium and low speed, maximum speed up to 38.000 rpm, steel blades which crushes ice in seconds. No VAT included.